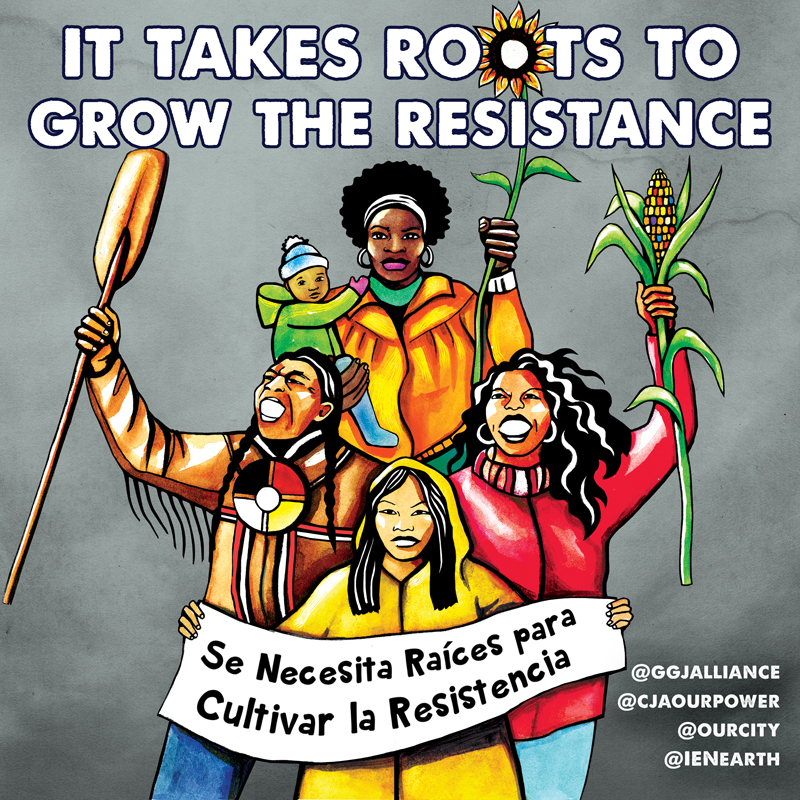 Support #ItTakesRoots to Grow the Resistance! Grassroots Global Justice Alliance (GGJ), Climate Justice Alliance (CJA), Right to the City Alliance (RTTC) and Indigenous Environmental Network have teamed up under the banner It Takes Roots to Grow the Resistance. We mobilized an arc of activities within the first 100 days of the Trump administration, from political education to direct actions to national mobilizations to long term strategy sessions. We are now preparing for the long haul, consulting our collective membership about next steps and planning trainings and convergences to keep growing our power. We believe it is within our power to make this a time we look back on as a historical turning point, where movements got stronger and more unified and began to cohere more defensive fights and pivot to the offensive together. Give a one-time gift through this secure online page! Select the amount you want to donate (or select "Other Amount" and enter the amount you want to give), fill out your contact information, and then under Payment Options at the bottom of the page select "Credit Card". When you click Confirm Contribution, you will be taken to another page where you can review your payment details, and then click Make Contribution. Contact sha@ggjalliance.org for support. Pledge a gift and send us a check. If you'd like to send us a check, please enter the amount you will donate, fill out your contact information, select "I will send payment by check" at the bottom of the page and click "Confirm Contribution".